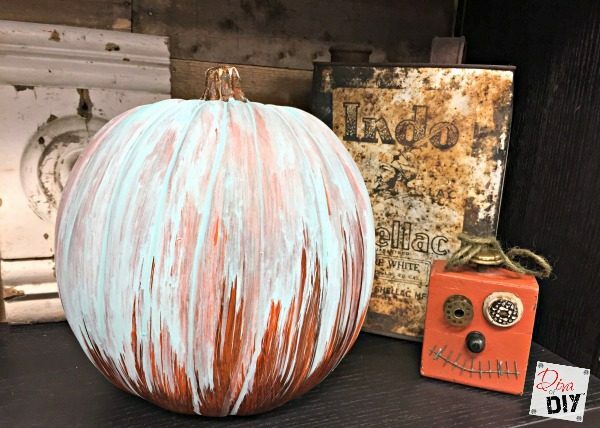 I love the look of oxidized aged patina! 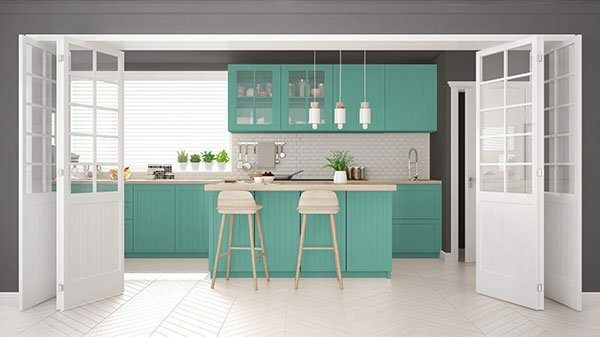 There are some amazing kits on the market to create an oxidized look. 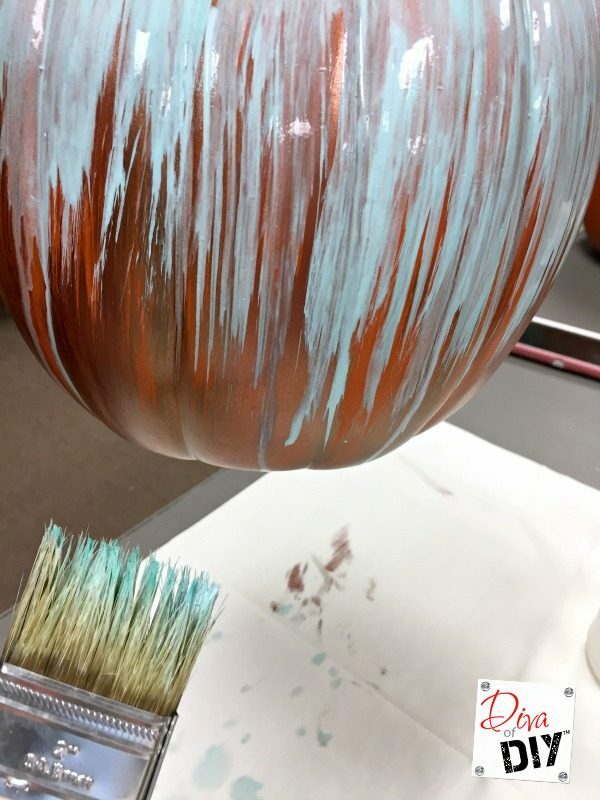 You can see the Kits we used when making our Rusted Lantern Pumpkin here. 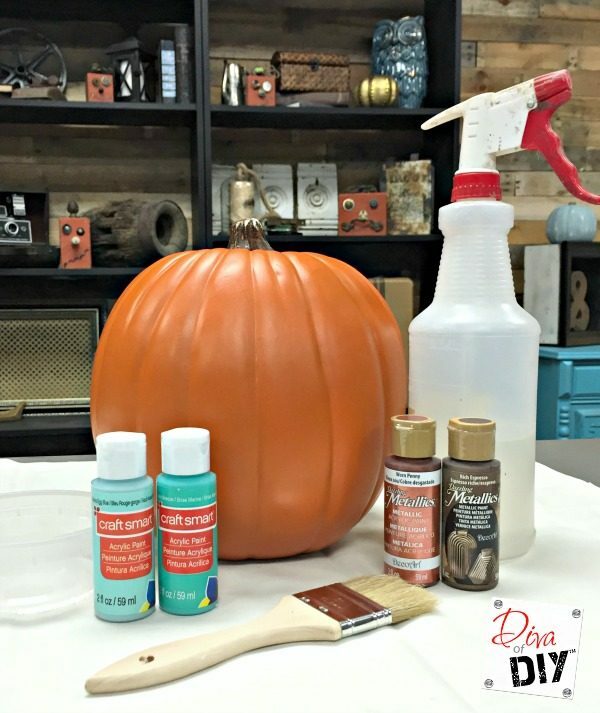 I love the rusted and patina effect these kits create but I knew that the kits are not always in the budget for pumpkin decorating so I decided to create the same effect with acrylic paints. To be completely honest with you, they came out even better then I expected! Seriously, a great look at a fraction of the cost! 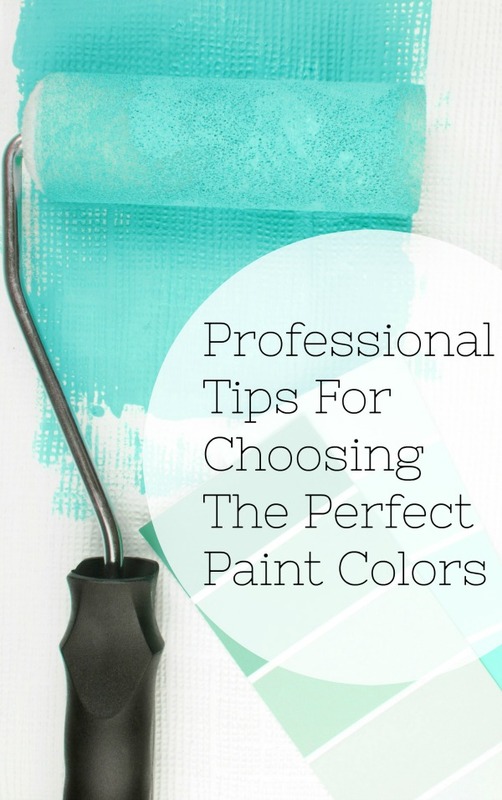 Step 1) Put small amounts of each color on your paint palette . I also put white on the plate thinking I may use it but didn’t need it. Step 2) Starting with a dry brush begin putting on bronze paint, leaving gaps. Step 3) Dry brush the copper color between the bronze paint. 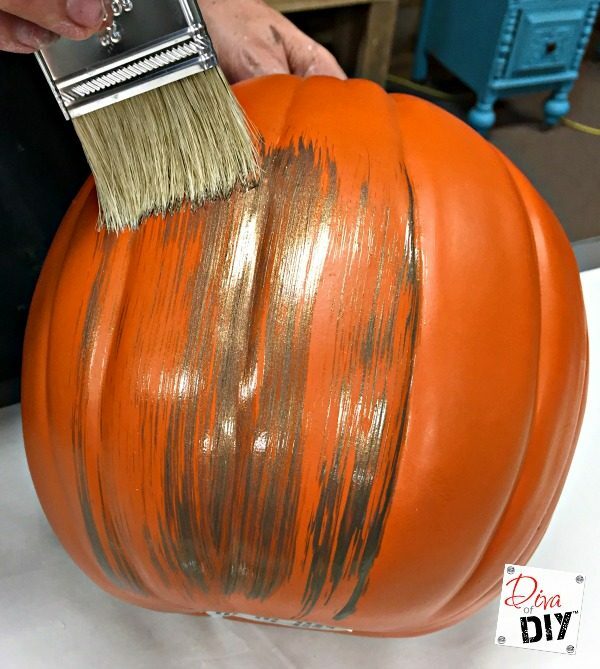 Step 4) Allow the metallic paint layer to dry. 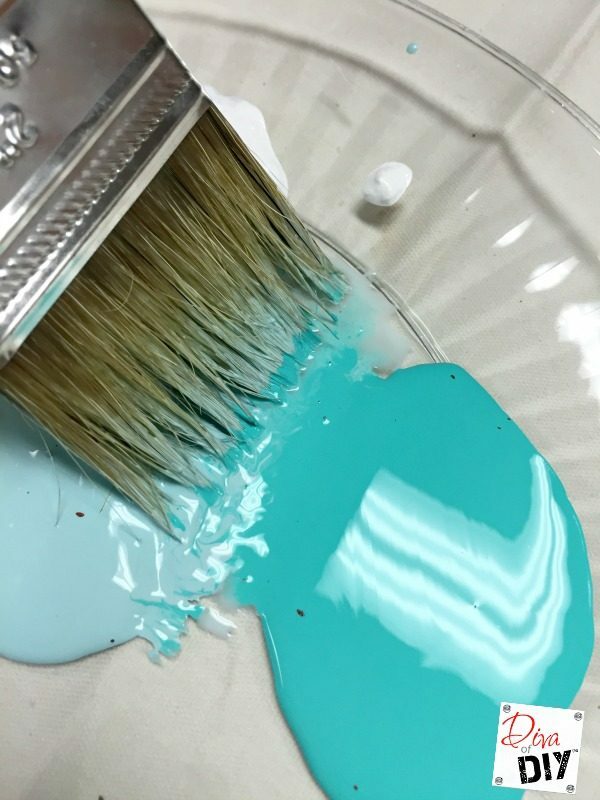 Step 5) Dip your chip brush in the lighter blue turquoise paint and then into your water bowl. 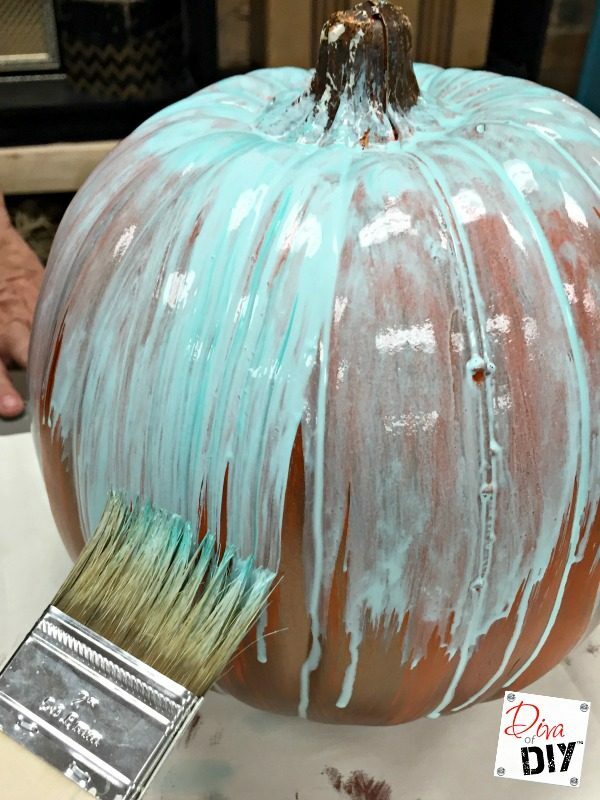 Step 6) Starting at the stem, paint the paint/water-filled brush onto the pumpkin working down. 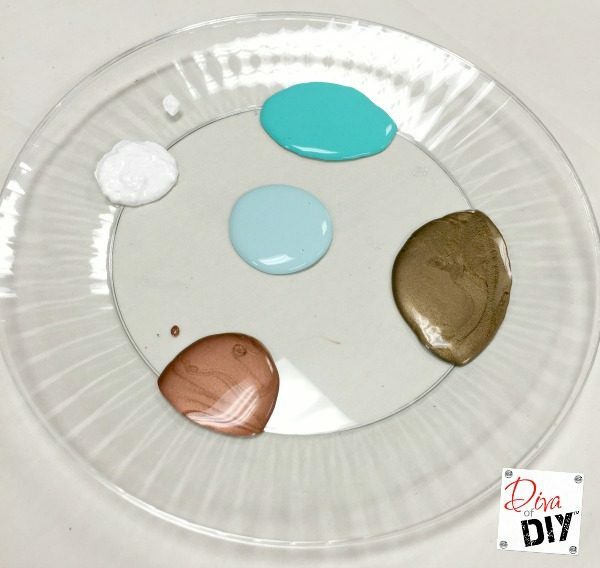 Step 8) Dip your chip brush in the darker turquoise and the lighter turquoise and the water. 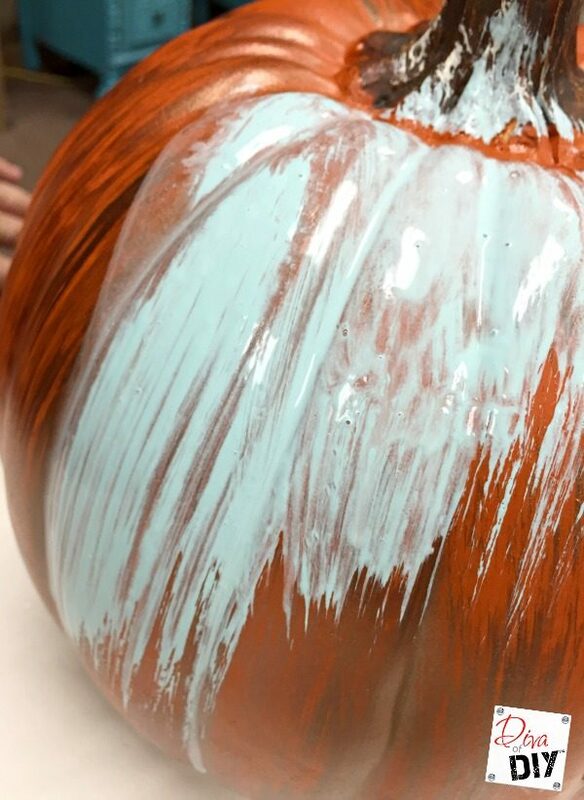 Step 9) Using the paint-filled brush, apply it to the top of the pumpkin near the stem. 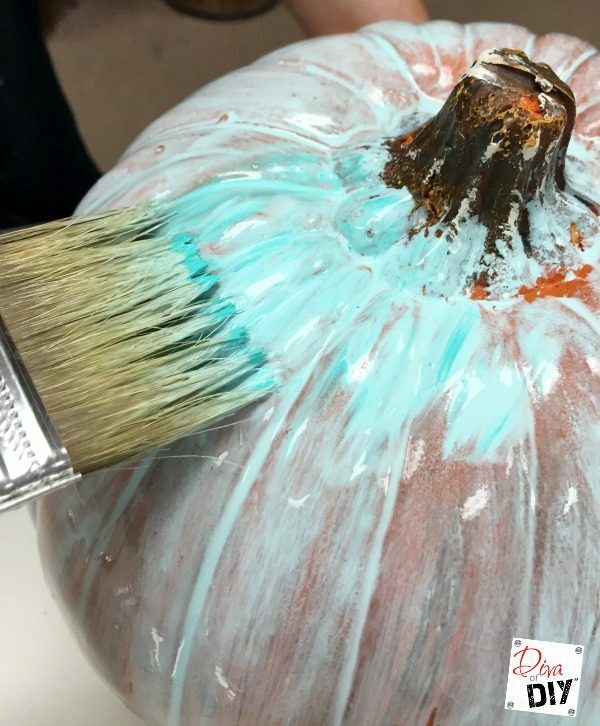 Step 10) Keeep loading the brush with paint and applying to the the pumpkin until you are happy with the look. 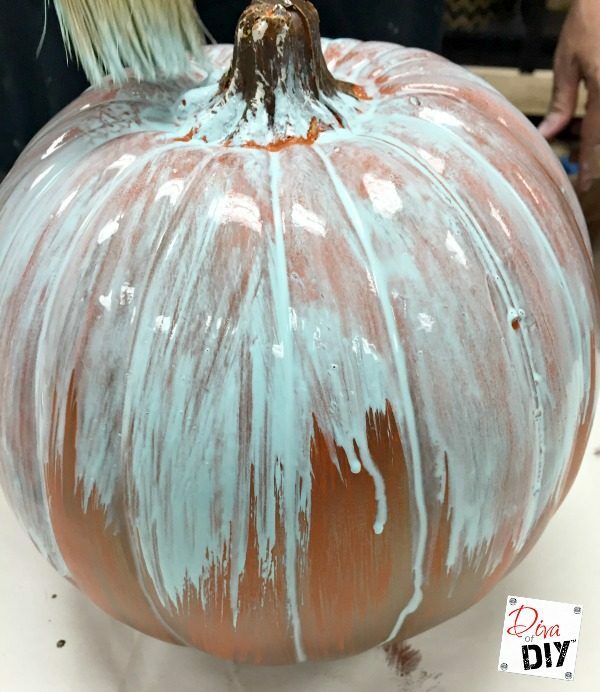 I used my brush to feather out some of the drips at the bottom of the pumpkin. Just do what you think looks nice! When you are finished this is basically what it should look like wet. 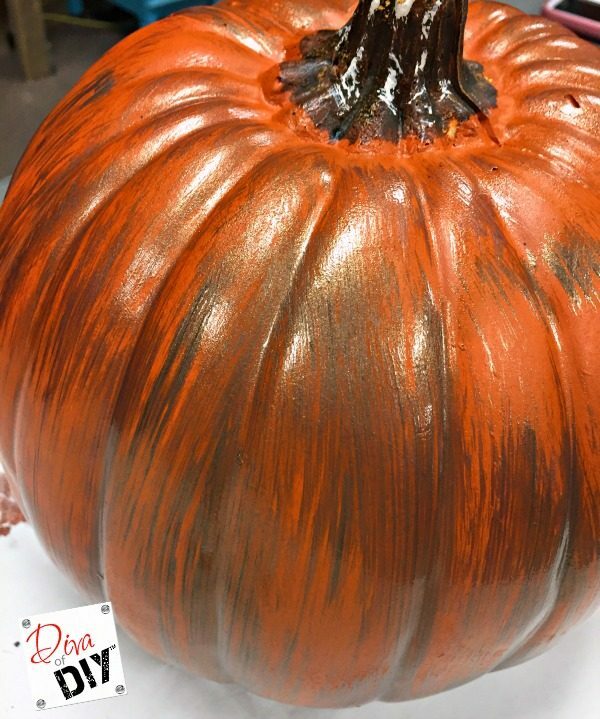 As it dries the shine will go away and leave you with a wonderful patina pumpkin! Check out the little pumpkin photo bomber in the background! Lol! For a full tutorial on how to make that cute little peek-a-boo guy click here. 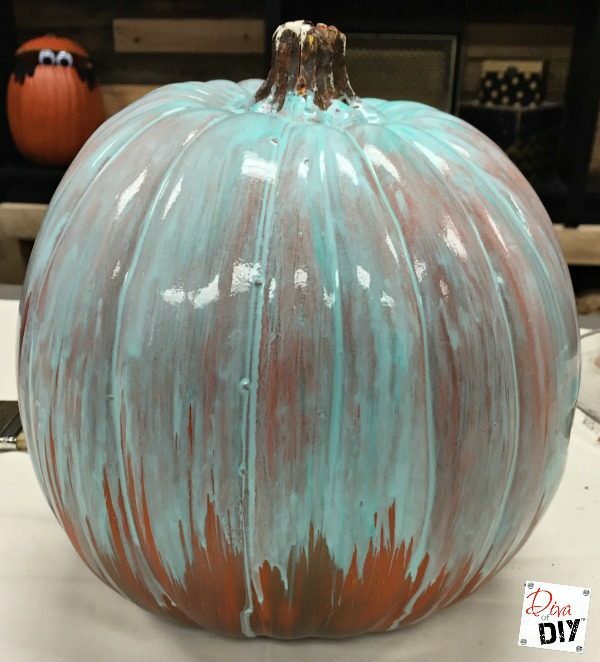 Notice how much the pumpkin changes once the paint is dry. I think I am in love with this process! Watch for more projects coming up with this technique because I’m pretty sure I will be doing some. And PLEASE, if you do anything with this technique I would love to see your projects! Just share a photo on our Facebook page so we can share it with our readers! 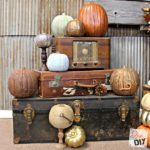 Remember the Junk-o-Lanterns? 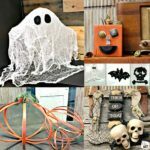 If you have not made one yet be sure to check them out here! 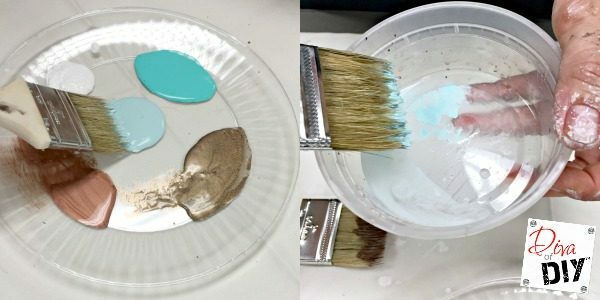 Such a simple process with an amazing result. I loved it even after the first step. In fact I am almost embarrassed to say I think I bought some that had been gold dipped...white pumpkins though. 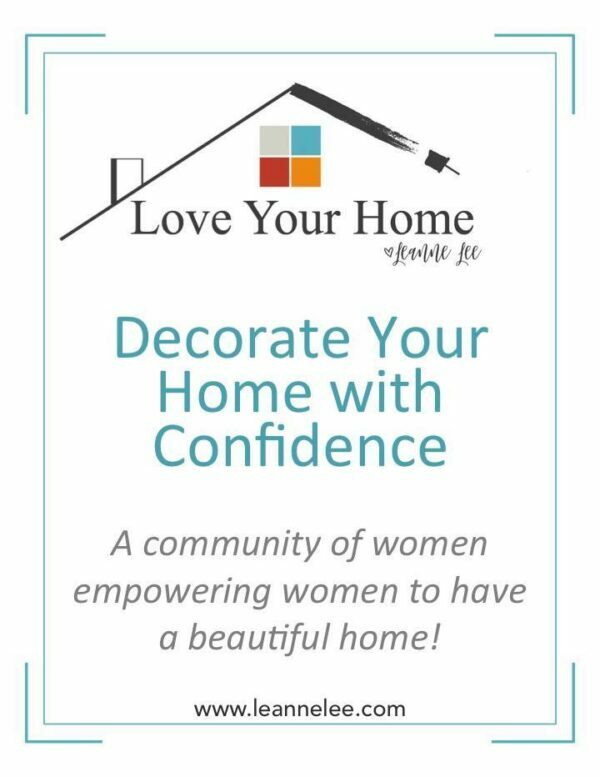 Thanks for sharing and for linking up with TaDa! Thank you Debbie! It was a fun project to do! 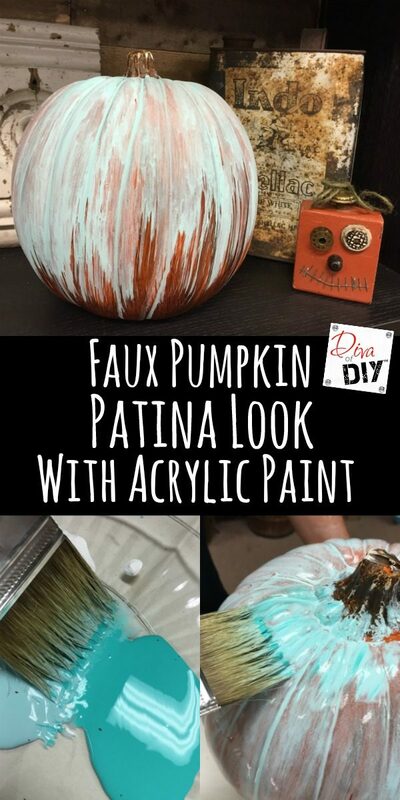 Great idea, I like how it turned out. 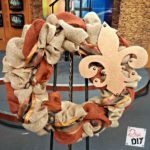 I will have to try this project, thanks for sharing the how to. Thank you Jasmine. 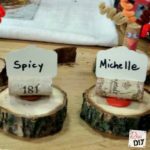 It was a fun project, I think you'll enjoy making one! Great tutorial. 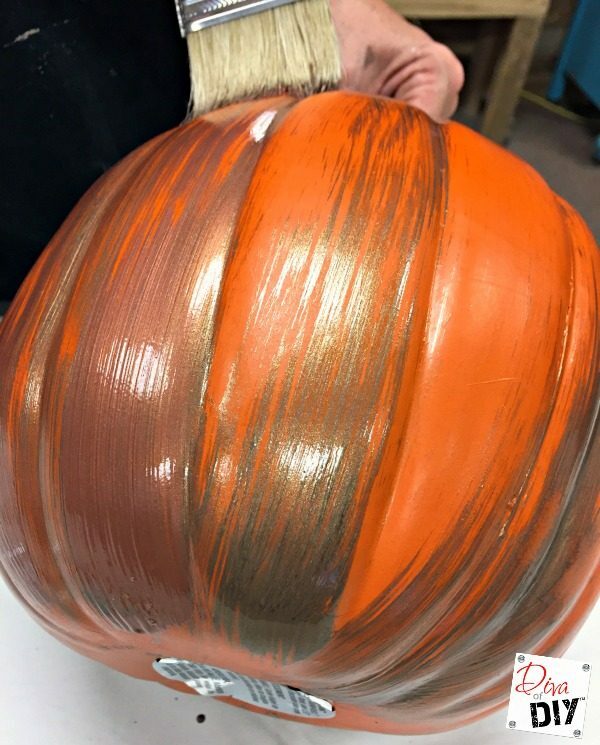 I painted some faux pumpkin this weekend. Thanks! Thanks Denise. It's a lot of fun! Very cool! I <3 a good patina! Thank you so much for coming over and taking the time to add your link to ShoestringAmy! Now..I'm going to look through all your other goodies.